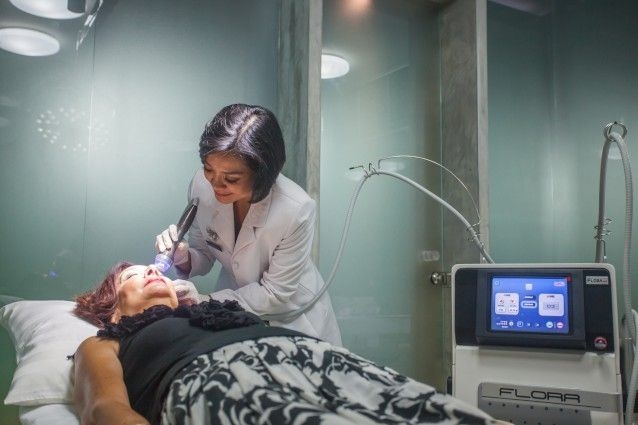 Medical Tourism is growing in Bali, with top surgeons and cosmeticians available. Looking for affordable, effective and quality cosmetic and wellness treatments? Now you do not need to go to Thailand or Malaysia. Treatment is available in Bali, at considerably reduced prices compared with those 2 countries. Cocoon Medical Spa is a medical cosmetic and wellness spa in Bali, offering the latest innovations in non-invasive treatments, including anti-aging, cosmetic and wellness. Cocoon Medical Spa’s unique packages are designed to give you visible results that last longer. Their technologies, treatments and products are the same ones experienced at the best clinics in your home country, but are up to 80% less than prices at home in New Zealand or Australia. Many Australians have found that they can have dental treatment in Bali, for instance, at a half to a third of the price paid back home, with qualified dental surgeons attending to your needs. Add to this the fact that there are direct flights from most Australians cities to Bali or Lombok, which is just a half hour away. That is considerably less flying time than to Bangkok or Kuala Lumpur. 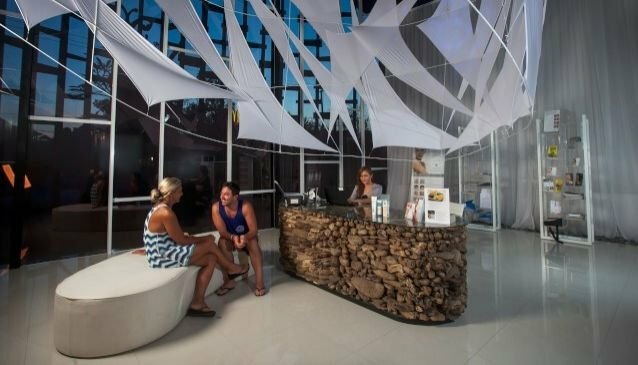 Cocoon Medical Spa, winner of this year’s “Best New Medical Spa in Bali” at the Yak Awards, has a simple philosophy – clients get visible results for the best possible price. Clients enjoy a noticeable difference in a short time with Cocoon’s highest quality products and technologies, in the hands of an extremely experienced professional medical team. The centre was founded with the aim of offering international quality standards of cosmetic surgery and other treatment at Indonesian prices. Registered Indonesian doctors and nurses have been trained by experienced Australian and British doctors, to bring the level of their skills and techniques and communication to international standards. All equipment and products used are among the best in the world. Treatments at Cocoon Medical Spa include: Botox and fillers, chemical peels, skin rejuvenation, laser, permanent hair removal, slimming, fat and cellulite removal, no-needle mesotherapy, diamond microdermabrasion, PRP, PDT, colon hydrotherapy, infrared sauna, vitamin IV. Cocoon Medical Spa Bali is the largest Cosmetic and Wellness centre in Indonesia. All treatments are performed in a beautiful Balinese environment - a calm, relaxing 1,000sqm space with "pods in a cocoon" concept. Welcome to beauty reborn in Paradise. The Spa is a combination of modern architecture, internationally trained doctors, latest medical equipment and technologies. "Our whole focus is on creating the best visible results for the client in a serene Balinese setting" says Louise Cogan, the Australian founder. Louise was the founder of Gorgeous Getaways and brought over 5,000 international medical patients to Thailand and Malaysia. She now hopes to replicate her success in Indonesia. "Slowly people are seeing that Indonesia is improving in quality healthcare, and will be a serious competitor to Malaysia and Thailand for medical tourism." The key point of difference with any other cosmetic clinic is the holistic approach - combining Wellness treatment with Cosmetic treatment. Unique, holistic packages such as "Acne away" "Skin Glow" and "Skin Tight" combine both cosmetic - such as Botox, Skin tightening, Skin rejuvenation - with wellness treatments such as colon hydrotherapy and Vitamin IV. The goal is to cleanse and balance the inner body, making cosmetic results more effective and longer lasting. If you see no difference in the results of your treatment, then Cocoon will offer the same or another treatment free of charge at the spa. They understand the concerns about having medical/aesthetic treatments in a foreign country, and this is why they offer an unconditional guarantee. With Cocoon’s ‘worry-free’ guarantee, you don’t need to be concerned about the quality, safety or what results you will get. It is important to know that with non-surgical treatments, the difference may not be immediate (though they are rare cases). Results will happen over time – sometimes weeks, maybe even months, as the collagen of the skin regenerates to plump up and repair surface skin. With a little patience and lots of TLC, you will get a good improvement over time. Naturally-beautiful results - that is the guarantee. No promises of dramatic differences, or expectations beyond their capability. The aim of the Spa is never to have clients look dramatically different, just looking the same YOU, just a lot fresher, younger, with healthier skin. If you have realistic expectations, chances are, you will be very happy with your results. If you are healthy, without prior medical conditions, and have realistic expectations, and follow your doctor’s advice and post treatment instructions, then you should be very pleased with your results. Realistic expectations are key. It is important to remember that treatment results are not immediate. Depending on treatment, it may take days, weeks, sometimes months before you start looking better. Depending on your requirement and the doctor’s advice, more aggressive treatments may be recommended, which may cause more swelling, maybe even bruising. A thorough consultation and knowing what to expect will enable you to have a favourable experience throughout. Cocoon are proud to have some of the most experienced practitioners in anti-aging come together for training and consultancy. Their medical advisors come from the UK and Australia. Cocoon Medical Spa in Bali offer only tried and tested methods to improve skin and beauty. No fuss, no fads. They know what you are looking to achieve with your skin and health. If you’re in your 20s-30s, you’d want the extra oomph to be able to party, exercise and work hard. We can improve your wellness, fitness and love life by incorporating these needs into our skin packages. Getting into the middle age group, it is all about anti-aging, slowing time down on the face and body – you’ll be surprised how many factors can combine to make this happen. As we head towards our 50s and 60s, we want to have real treatments that can help with problems such as sagging skin, aches and pains and ill health. Cocoon Medical Spa’s treatments are designed to not just help cosmetic results be better, but also to improve your health and overall quality of life. Cocoon Medical Spa offer a complimentary pick up service to hotels and residences in the Seminyak, Kuta, Legian, Kerobokan, Canggu, Pererenan and Denpasar areas. This service is complimentary for all booked treatments or packages at Cocoon Medical Spa. c. the largest range of treatments, so combining the treatments brings better results, quicker. Secondly, we are the only medical spa in Bali providing wellness treatments including detox, colon hydrotherapy, infrared sauna, salt room, Vitamin IV. Cosmetic results are not just about jabbing a few needles, true anti-aging is about looking after the body and mind, ridding the toxic waste and aligning the hormones and health through vitamins. Approaching both the wellness and cosmetic together will bring better cosmetic results, faster. These days, there is too much of a focus on injectables providing anti-aging, and there are so many different and better treatments now to improve the skin and slow down aging. Yes, Botox and Fillers have their place in cosmetics and anti-aging, but there is too much emphasis on these as the main treatments, when actually, they should just be supplementary to other anti-aging treatments. We shouldn't rely on the injectables completely as they don't last that long and don't create a big difference over time. They don't help with skin health in the long term. What really improves the skin over time is a combination of treatments, eg. RF microneedling for skin tightening, 3D Laser rejuvenation, Platelet-Rich-Plasma (PRP) together with supplementary treatments such as Diamond Microdermabrasion for exfoliation and Mesotherapy to infuse vitamins and nutrients into the skin. Together with detox and wellness treatments, these treatments will give a huge difference in the long term to the skin and body. Our vision at Cocoon is long term results, long term improvements in the skin, by providing a combination of the latest treatments and technologies. Cocoon Medical Spa is a new spa concept, but in just a few months we have had an amazing response, with more than 80% of clients returning back or referring their friends. We aim to create a nice family of clients who trust us and rely on us to provide treatments that are not just a quick fix, but something that will improve their skin and body health in the long term. My background is from plastic surgery. There is a lot of pain, a lot of scars that can never be avoided with plastic surgery. What I really understood is that about 90% of plastic surgery can be avoided - simply if we have a plan of maintenance with non-surgical, non-invasive treatments. If you start your treatments young, in the 20s and 30s - no more than once a year rejuvenation treatments - then your skin health will be better and you will avoid the knife later in your 40s and 50s. Lasers, RF, PRP, are all great for your skin health, and combined with monthly wellness treatments, you would never have any need for more invasive plastic surgery. We hope that patients will find the quality and service that they can expect from a clinic in any major western capital city, with a beautiful Balinese environment and prices.